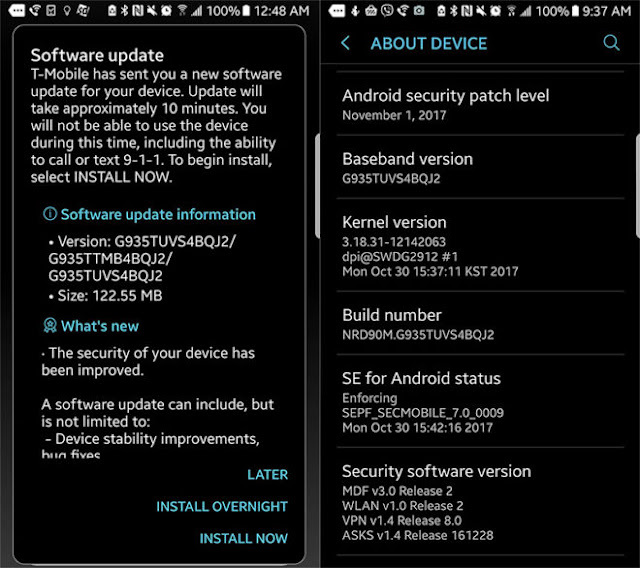 Days after the Samsung Galaxy Note 8 got a new update, some other Samsung handsets have started getting updates of their own. 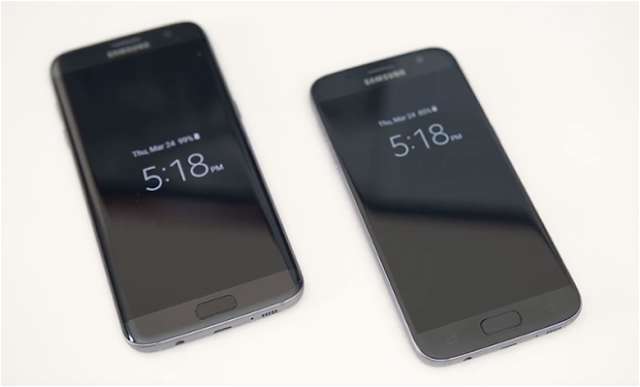 T-Mobile is now pushing updates to its versions of the Samsung Galaxy S7 and Galaxy S7 edge. The GS7 update is version G930TUVS4BQJ2 and is 121.99MB in size, while the GS7 edge update is version G935TUVS4BQJ2 and weighs in at 122.55MB. If you’ve got a T-Mobile Galaxy S7 or S7 edge, you should see an update hit your phone in the coming days. You can also check for it yourself by going into Settings > Software update > Download updates manually. T-Mo hasn’t updated its Galaxy S7 and Galaxy S7 edge support pages with info on this new update yet, so the full changelog isn’t known. TmoNews readers Edmund and American Patriot have received the updates on their phones, though, and have shown that they include the November 1, 2017 Android security patch level.